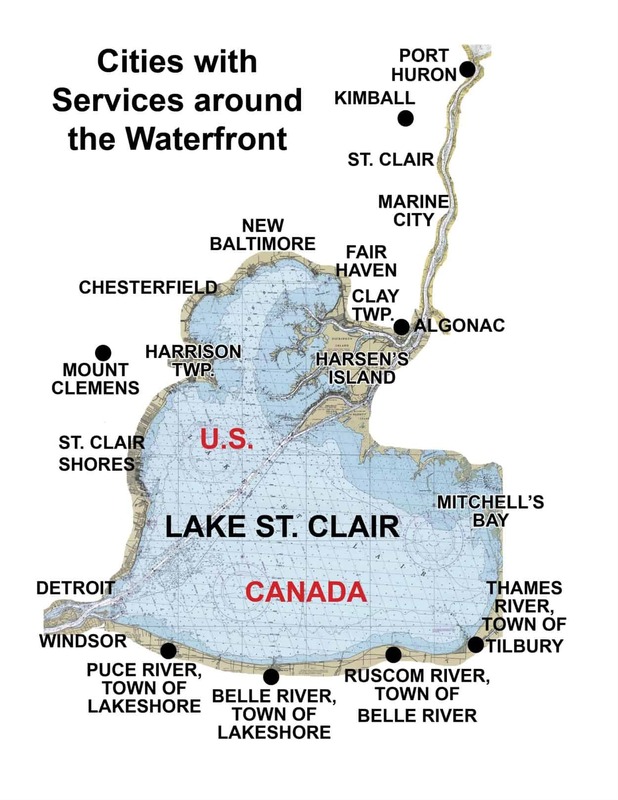 The Lake St. Clair Guide directory provides services you will need for “transient” Marinas when visiting Lake St. Clair, Area Rivers & Channels around Macomb, Wayne, St. Clair County and Ontario, Canada. Click here for “Seasonal Dockage”. Take a vacation with your boat! Visit one of many marinas on Lake St. Clair, North & South Channels, Detroit and St. Clair Rivers for the season or just a weekend getaway. Marinas in the area hold several parties and BBQ’s, festivals, and fireworks. Our local marinas also provide many amenities for your family with swimming pools, tennis, on-site restaurants and more. 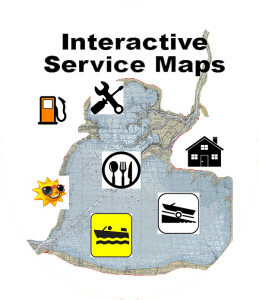 or click here for an interactive map of Marinas Lake St. Clair, Area Rivers & Channels near you. Algonac Harbour Club is a full-service ‘lifestyle’ marina and has all the amenities you would expect from the best: On site restaurant, fuel, pools, inside and outside storage, and lots more! Belle Maer Harbor – Harrison Twp. Voted best marina by Detroit News readers! With over 60 acres, Belle Maer Harbor’s scenic setting is conveniently located on the beautiful Anchor Bay end of Lake St. Clair. 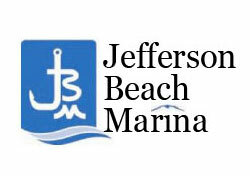 With direct access to beautiful Lake St. Clair, Jefferson Beach Marina is your gateway to unlimited marine recreation. Our facilities include marina dockage, storage, fuel dock & pump out, restaurant, and onsite repairs. Come to Lake St. Clair Metropark (formerly known as Metro Beach) … then stay to play! Visit us by car or boat and enjoy our beautiful park with many family fun things to do. MacRay Harbor – Harrison Twp. MacRay Harbor Marina is a family destination….Stay for a day, a week, or the summer! Full amenities include our onsite restaurant, North 42, and Sunday fabulous brunch all season in our lakefront banquet room, where we can also host your wedding! Markley Marine Clinton River – Harrison Twp. Markley Marine on the Clinton River offers 500 summer boat wells with deep water access, heated pool, free WI-FI, and 24 hour security with a beautiful park like atmosphere with acres of grass! Miller Marina – We offer everything at one place! Fast, friendly, reliable services in a quaint and safe family environment. Boat wells and transient dockage, fuel dock with pump out, bait & tackle, burgers, ice cream on Lake St. Clair on L’anse Creuse Bay. Whether your pleasure is fishing and duck hunting at dawn, or a campfire at sunset, Mitchell’s Bay Marine Park has the perfect setting with both marina & RV camping on eastern Lake St. Clair in Ontario, Canada. South Channel Yacht Club is the friendliest marina on Lake St. Clair. Not just a marina, it’s a destination to spend a weekend. Enjoy laid back weekends under the stars! A short ride from Muscamoot Bays. Sunset Harbor is conveniently located on Harsen’s Island. Full service marina with summer & transient wells, winter inside heated and cold storage, outside storage, fuel gas dock with pump out, heated swimming pool, pavilion & beach, WI-FI, with a scenic safe harbor on the North Channel near Lake St. Clair / St. Clair River. Visit the quaint town of New Baltimore by boat or car! Restaurants and wine tasting, bakery & candy shops, boutiques, art, antiques, gift shops, books, museum, and more. And, don’t forget to bring the family and enjoy our beautiful park with a children’s playground, fishing pier, and sandy beach…. all on Lake St. Clair’s Anchor Bay.